The mobile racing title will see players collect and customize vehicles from multiple real-world manufacturers. 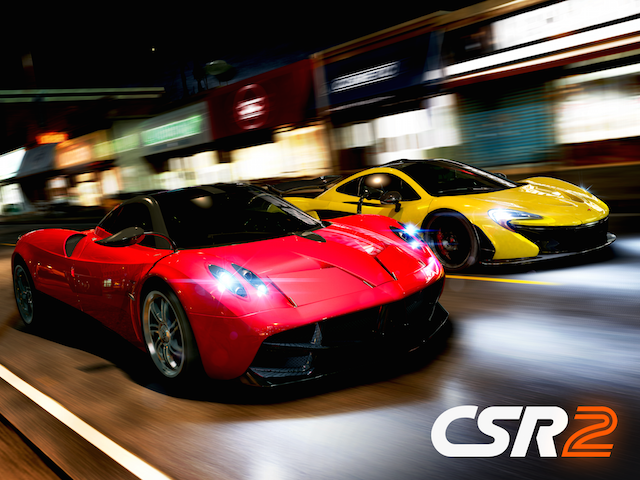 After announcing CSR2 during a recent earnings call, Zynga and NaturalMotion revealed new details for the upcoming racing game. The game is the sequel to the popular CSR Racing, which has been downloaded more than 130 million times since its release in 2012. In a blog post, NaturalMotion CEO Torsten Reil said CSR2 will stay true to the drag-racing gameplay found in the original CSR Racing, but will include innovations which have yet to be revealed. Players will be able to collect and customize multiple cars, with NaturalMotion working with real-world manufacturers including Ferrari, Lamborghini, McLaren, Pagani and others to ensure the realism of each in-game vehicle. Part of this overall attention to realism has seen the team focus on the game’s lighting. The team has built upon some of the world’s most advanced shading and lighting techniques to mimic how light reflects from cars in real-life. For example, physically based shading is used to simulate the interactions that cars in your garage have with light sources to capture reality in the most stunning way possible. But while visuals and fidelity are important, we never make any technological advancement for technology’s sake alone. It is always a means to create a believable and immersive experience for the player. CSR2 will enter its first soft launch phase in the coming weeks, and it is expected to launch on mobile devices worldwide later this year.